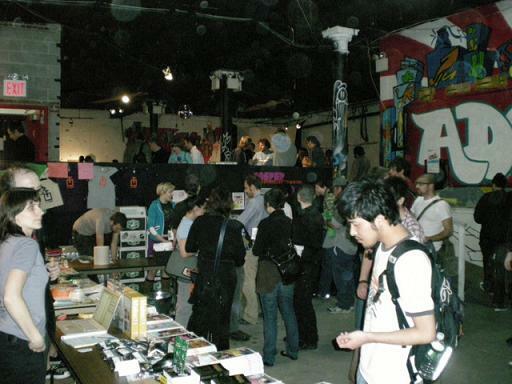 Looks like the 2009 Bent Festival is set to happen in New York this year. There has been talk about not having the festivals back to back as they were in the past, but this point we don’t know the dates or whether the Minneapolis and LA events will happen. For those who have never attended a Bent Fest, I highly recommend it as a great opportunity to meet fellow musicians and artists as well as to check out all the bent gear in 3D. The workshops are also extremely informative and do cover a wide spectrum of interests from beginner to very advanced topics. New York Bent Festival – April 16th-18th, 2009. Performers, Installation Artists, Artwork Submissions and Workshop Instructors. Bent Festival seeks bands and/or solo artists who incorporate home built or circuit bent instruments or ideas in their performance. To have your work considered: Please email a short description of your act, along with a link to mp3s and photos if you have them. (Please do not send attachments larger than 1MB). Bent Festival is looking for installation artists who can commit at least 15 hours to creating site-specific pieces of art at each of the venues during the duration of the festival. Installation artists will be provided with space, materials, electronic equipment and tools as we are able. To have your work considered: Please submit via email a one-page proposal of your installation idea along with examples of your past work. Please be prepared to commit to spending time in the installation space during the festival and be prepared for a shared and at times hectic work environment. No white walls here! In addition to installation artists, we would like to have featured art work that fits with the spirit of the festival from people who might not be able to join us in person or who cannot commit to working in the space during the duration of the festival. To have your work considered: Please submit via email digital images or links of your work and a brief description. Bent Festival is seeking workshop instructors to present on various topics. Topics in previous years have included: Genera circuit bending workshops for beginners an extremely technical, hands on workshops on a particular aspect or niche of the genre. To have your work considered: Please describe the subject you would like to lead a workshop on and provide a one-page description of that workshop, in addition include links or examples of your current and past work in the field. Stipends for all festival performers, artists, and workshop leaders will be provided. We have a limited number of travel grants available as well. Please contact for more information.